Land for sale in Gori district, among the villages Tirdznisi and Shertuli. The land is located in 20 kms from Gori. 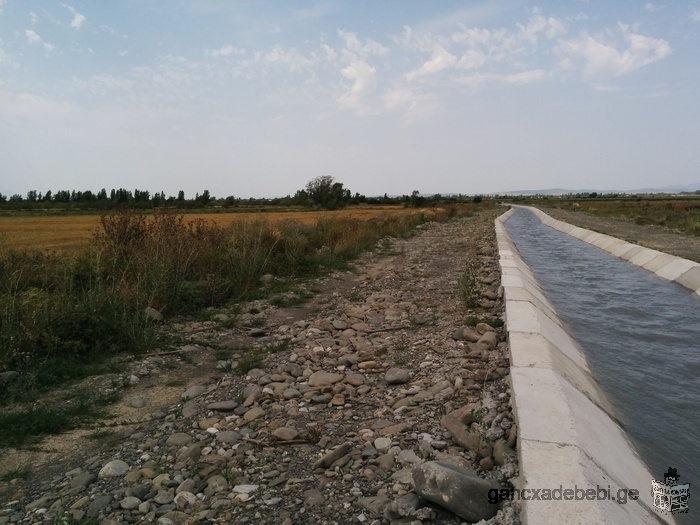 On the north border of the land there is a new irrigation channel, from which it is possible to irrigate the land, and on the east border of the land there is river Patara Liakhvi, so you can build a lake or a pool for fish.